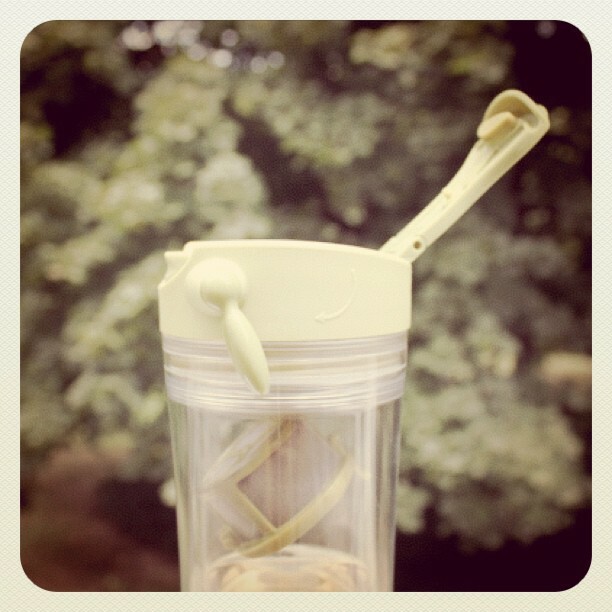 How it looks with some Yellow tea inside, my favorite tea of the moment. Once it’s brewed at your convenience, you can use the little thing on the left to pull the infuser up. Yes, it’s the happy owner. It was a present and I love it! OMG eleonora!! this thing is great! ahhaha i hate drinking my tea and almost consuming all my tea leaves while trying to just drink it haha. Pricey though! but …. i think worth it? The infuser/tumbler is a bit off-putting, but the price is certainly right. And I dig the thermos poptop. You would say that the price is “right”. I don’t know, to me anything plastic should be inexpensive. But I guess it depends. After redning this Im not so sure…maybe keep it? You have some good points… But I see you got yours for quite some time ago so maybe you have discovered some negative sides now, or maybe some more points to keep? I have been using it for a while now. 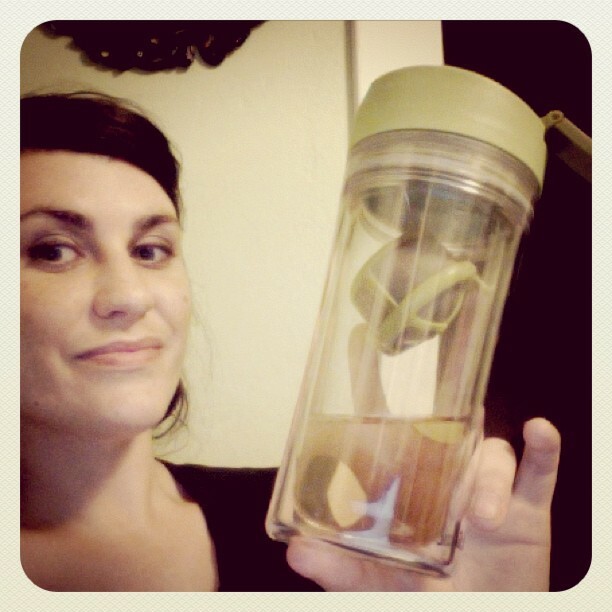 It is worth it, and I had other tea tumblers after writing this review. This one is still my favorite when it comes to travels. I surprised myself too, because I thought “oh plastic…blah” but I definitely prefer plastic to metal when it comes to tea. At least in this case. I also gave it as a birthday present to a friend and he is also using it very often. I actually got a new one (my husband keeps finding different colors) and it is blue… I haven’t used it yet. Definitely a great product! 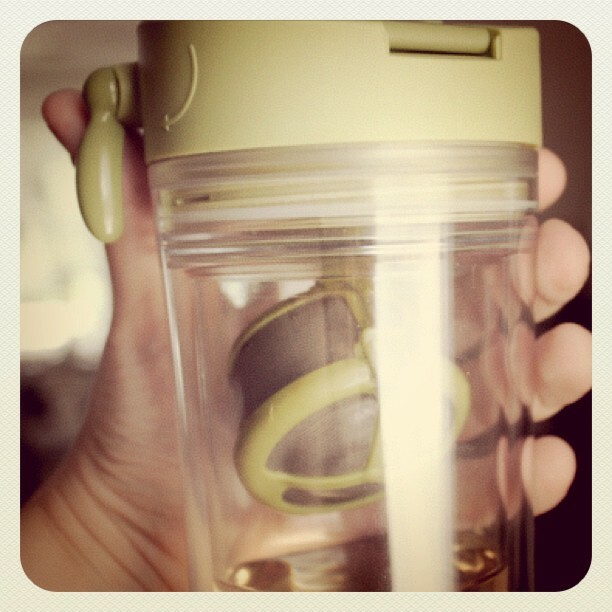 Wish it could store more tea though, I end up drinking the amount of tea it holds pretty fast. Well, I use it for a while now, and at my surprise, It’s my favorite, I know it’s plastic and at first I was not enthusiastic about that, but it’s quite solid, and I have a new one now, (blue). The older ones still work pretty well. This one incident with the rubber didn’t happen again. So…you see was actually a nice find! 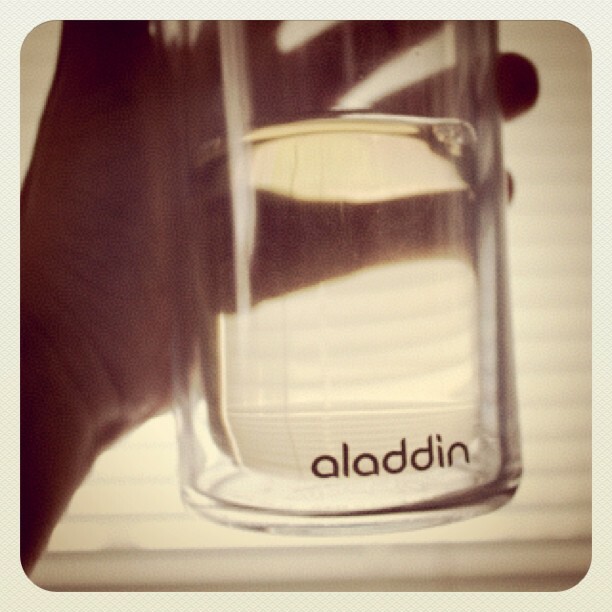 my Aladdin Tea Infuser Mug | We’re having Tea in the City. I actually do have 2 questions for you if it’s allright. of the comments appear like they are written by brain dead folks? 😛 And, if you are posting at additional social sites, I’d like to follow everything fresh you have to post. Could you list of every one of your social networking sites like your linkedin profile, Facebook page or twitter feed? Well it’s probably because they are spammers I don’t know. Your name is suspicious too I mean “Lose Weight Vimax”…what do you want me to say?